An amendment to replace the States’ influence in the federal government since the 17th Amendment was adopted. Justices to the Supreme Court will be assigned by the States. Each state will select one justice to the Court. That justice will be selected by the particular state legislature (or popular referendum). Justices selected by each state MUST have a documented history of adherence to the original meaning and intent of the Constitution and MUST have cited supporting documentation for its meaning and intent, including the Federalist Papers and the debates in the various state ratifying conventions. [Any change to the Constitution, including to reflect “modern times,” must be in the form of an amendment]. Justices can serve an unlimited term, but that term can be shortened upon a showing of incompetence, disloyalty to the state, or by violating the previous provision. The first task of the newly-seated Supreme Court will be to review the federal budget for spending that is not constitutional. The analysis will be used to remind Congress what are the constitutional objects of spending, to adjust federal taxation, and to help return policy-making and legislative power to the states. 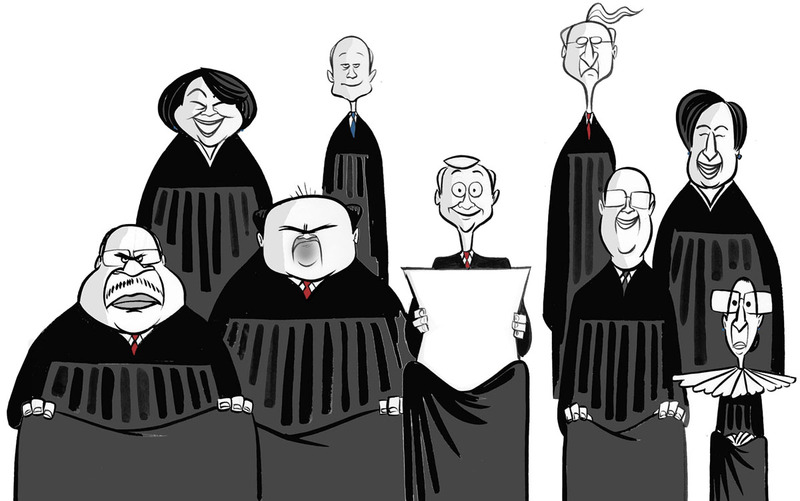 The Supreme Court’s new membership will establish new constitutional law jurisprudence. They not be bound by any previous court decision and will agree to establish continuity in jurisprudence only among their own decisions. Congress will not attempt to limit jurisdiction on this newly-organized Supreme Court in an attempt to frustrate the intent of this amendment. Because the Constitution is the peoples’ document – their shield against excessive government in their lives and affairs – the justices will honor the rightful expectation that it is firm and unambiguous in its meaning. “The Constitution of a State is stable and permanent, not to be worked upon by the temper of the times, nor to rise and fall with the tide of events; notwithstanding the competition of opposing interests, and the violence of contending parties, it remains firm and immovable, as a mountain amidst the raging of the waves.” [Justice William Patterson, in Vanhorne’s Lessee v. Dorance (1795)]. A constitution is not the act of a government, but of a people constituting a government; and government without a constitution is power without a right. All power exercised over a nation, must have some beginning. It must be either delegated, or assumed. The purpose of having a stable and firm constitution is so that when government transgresses its limits, the people can immediately recognize such action. [Thomas Paine]. Any change in the meaning of the US Constitution will be sought through the amendment process provided in Article V.
This entry was posted in Uncategorized and tagged 10th Amendment, Constitution, constitutional amendment, Diane Rufino, dual sovereignty, federal monopoly, Federalism, government monopoly, judicial activism, judicial supremacy, justices, monopoly, original intent, proposal, reserved powers, resolution, sovereignty, states rights, strict construction, Supreme Court, Tenth Amendment. Bookmark the permalink.